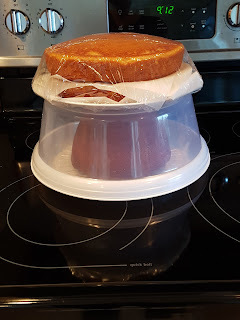 Both kids have birthdays at the end of the year - November and December, about a month apart - and once The Girl got to help decorate her brother's birthday cake for his party, she became quite interested in her own upcoming cake. "A BIG cake! A THOMAS cake!" She announced, and struck fear into my soul because I am in no way artistic or creative please see pretty much any of the posts here if you don't believe me. Now, she doesn't even really like Thomas much anymore, so I think it was just the first thing that popped into her head. 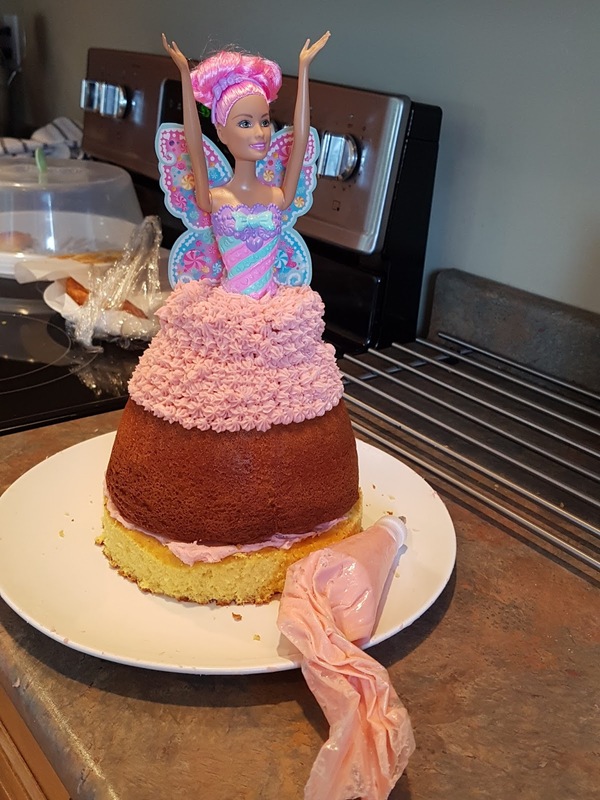 I panicked, and replied with the first thing that popped into my head - wouldn't you rather have a princess cake? YES! She replied enthusiastically, and then talked non stop about it for the next month. Now, before anyone rolls their eyes at me, trust me that this was not a sexist Girl can't have a Thomas cake thing. 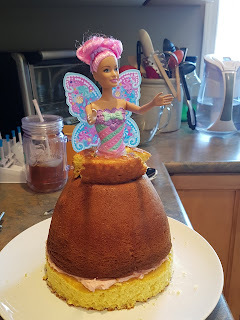 It was a I remember my Boo (aka BFF) made a princess cake for one of her daughters a few years back and she said it was so easy that even I could do it thing. The Big Day came, and my Boo came over to get me started. The night before I had made the cakes- 2 - one in round pans, and one in a large measuring cup my Boo had lent me. I wrapped the dolls legs in plastic wrap and we hacked one of the round cakes up to make a bottom and a top to go around the measuring cup cake. 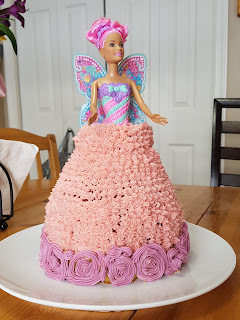 I used this buttercream frosting and we dyed it pink. My Boo got the decorating started, and then turned the reins over to me. The kitchen and the icing got warmer, the kids were all amped up, and my little frosting blobs were not turning out as neat as hers. But hey, 3 year olds don't have super high standards. I was starting to get fatigued by the time I got to the lower part of the dress, so I added some purple food coloring to the pink frosting and tried my hand at a big swirly design to hurry it along. If you stand back and squint a lot, it doesn't look too bad. What matters most is the The Girl loved it - a lot - so that made my day. And I'm in the clear on kids birthday cakes for 9 more months!